﻿ The nature of dance at Rivoli with "Cria" - Notícias - Portal de notícias do Porto. Ponto. The nature of dance at Rivoli with "Cria"
"Cria" is the show that espouses the notion that dance performances are borne inside all of us, dancers and audiences alike. It is a matter of human nature "Nóis é Cria, não é Criado" is the name of the Contemporary dance Group that brings a performance to Porto, on 4 may, at 7pm, at Rivoli Municipal Theatre, in the context of the DDD Festival. 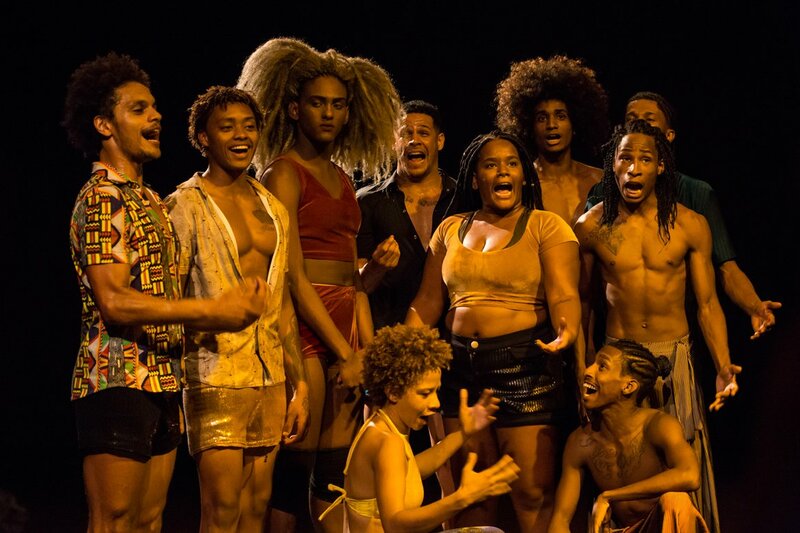 The show explores the link of affections and sensuality, with the "dancinha", the "passinho", which was the first Brazilian urban dance style, and also funk and the theatre-dance. In this play, there is the related concept of the sexual act as the act that brought us to life, performed on stage through dance. Relationships spur movement and dance is used to transform the current violence that can be witnessed in Brazil in creative potential. This performance will take to the stage on 4 May, at 7pm, at Rivoli.